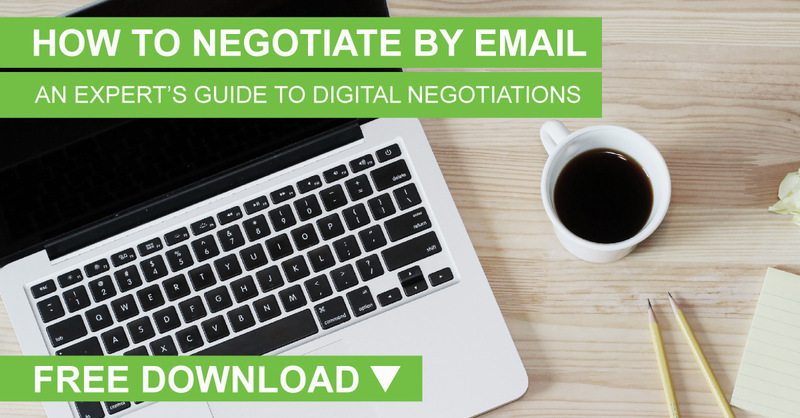 Negotiation commonly relies on some form of rules of engagement, sometimes unspoken. These standards of conduct or protocols help clarify and guide participants through the negotiation. They cover the behavior of the parties and procedures to be used and are usefully negotiated before or during the first formal meeting. Even for meetings (‘negotiations’) within a family, agreeing time and place and what is acceptable behavior can be fruitful. For example, this can include communication ‘rules’ such as listening carefully, everyone having a chance to speak, and no derogatory language. Such rules help support a calm environment and facilitate avoiding a fight. A major benefit from agreeing these process protocols is that they are items common to both sides and are usually easy to agree upon. Importantly, in the early introductory phase of a negotiation, they can engender a sense of working together to locate sensible solutions. As such, they help build an early atmosphere of collaboration, and a sense that the negotiators will be treated fairly and the negotiation will have a positive outcome. When agreeing the development of negotiation protocols or common rules of engagement, stay focused on ‘how’ the negotiation will most usefully be performed. At this early stage avoid discussing anything about the negotiation substance, the ‘what’ the negotiation is about. In a series of negotiation meetings, maybe the first meeting is just about confirming protocols as to how the event is to be conducted. 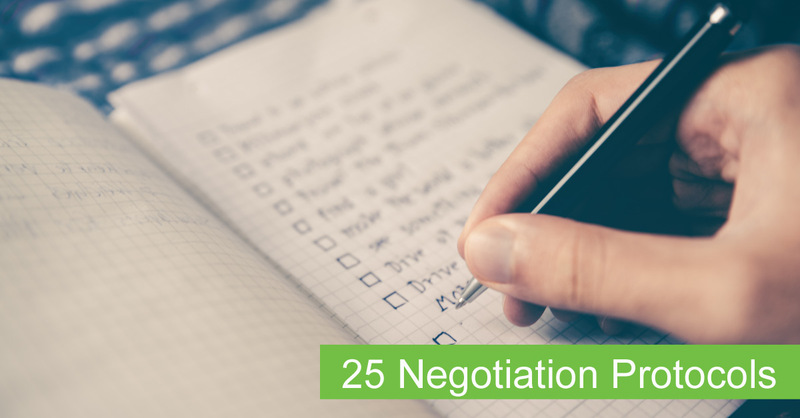 Here is a checklist of possible negotiation process protocols you might consider reviewing with your counter-party and gaining their commitment prior to discussing the negotiation content. Giving consideration to developing these process protocols early in a negotiation is highly recommended, particularly for on-going negotiations over many meetings. They help create an initial positive negotiation climate as the negotiators affirm each other. This early collaboration sets the tone for further interactions, and may be critical for achieving a successfully negotiated outcome. Now ask yourself: What other protocols have you found useful and can add to the above?